We’re winding down our 8-part series featuring loads of exclusive Photoshop Tips from Lesa Snider. If you’ve missed out on articles 1 – 7, be sure to check under our NEWS section and take advantage of these power tips that are only available to XChange customers, or through purchasing Lesa’s book titled Photoshop: The Missing Manual. These tips will have you doing more design work in less time and give you the ability to master new and exciting effects for your images. Lesa Snider is the author of the best-selling books Photoshop: The Missing Manual and Photos for Mac & iOS: The Missing Manual and also published the Creative Cloud Essentials video training, which covers important uses for each of the Creative Cloud apps and how they work together. You know that Photoshop is an amazing piece of software that many designers use on a daily basis. It’s so flexible that you could spend days learning new features, and still have only scratched the surface of its capabilities. There are some real gems hidden inside Photoshop that can help you speed up your work and produce more with less effort. 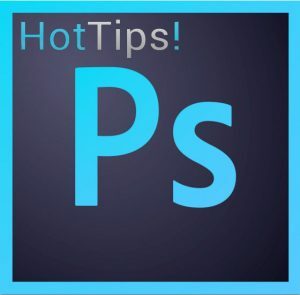 So, we continue with Part VII of our Photoshop Tips series to help sharpen your skills and improve your productivity. Lesa Snider (author of the best-selling books Photoshop: The Missing Manual and Photos for Mac & iOS: The Missing Manual ) has provided XChange customers with these exclusive Photoshop tips from her Creative Cloud Essentials video training, which covers important uses for each of the Creative Cloud apps and how they work together. Images in your content (whether your project is a website, brochure, catalog, poster, blog, etc.) make your stuff interesting and easily understandable for people. Photoshop is the perfect software to do image editing tasks effectively and to apply various effects to simple images to transform them into unique designs. Check out this week’s tips for even more ideas on how to use Photoshop to its full potential! Adobe Photoshop is hailed as the most powerful graphics and photo manipulation solution available. You can do virtually anything in Photoshop, from image collages to website designs and everything in between. Although Photoshop is incredibly powerful, it can also be very complicated when trying to perform advanced functions. Discover the little gems within Photoshop to find more efficient and easier ways to do the same things you are doing or learn to do more! Photoshop is one of the most advanced solutions in the design industry that can make your creative ideas come to life with its abundance of professional tools. No matter how knowledgeable you are, there are bound to be features or settings you don’t know about. We continue to assist you in unlocking Photoshop’s full potential to boost your productivity using these techniques, shortcuts and cool effects in Part IV of our Photoshop Tips series. Bring out your brilliance! Our mission to assist you in becoming super efficient in Photoshop continues with Part III. Photoshop is an easy tool to use and a difficult one to master, but help is at hand. Improve your skills and speed up your workflow with these expert Photoshop tips. Lesa Snider (author of the best-selling books Photoshop: The Missing Manual and Photos for Mac & iOS: The Missing Manual) has provided XChange customers with these exclusive Photoshop tips from her Creative Cloud Essentials video training, which covers important uses for each of the Creative Cloud apps and how they work together. Over and over again, you’re copying data, pasting and applying. If you ever find yourself doing this kind of activity for more than a couple pages, or more than 10 entries in a database or spreadsheet, then a database publishing solution could be an immense time-saver for you. If your data is in a spreadsheet, database or even just a list that needs to be formatted quickly for use in a directory or catalog, for example, this can be a true logistical challenge and it is even worse when there are production schedules. If you’re a Photographer, Graphic Designer or Illustrator, having a knowledge of Photoshop can be a useful skill due to its wide range of uses. Photoshop is an incredibly robust program and using it can sometimes seem intimidating, but whether you’re a complete Photoshop novice or someone who wants to learn some cool time-saving techniques, these tips will be perfect for you. Words or text may rule the web, but in many instances, a strong image or graphic is a critical part of the selling or marketing process. The images you use may therefore have an impact on whether or not a potential customer buys what you are selling or whether they illicit your services. Images can either help you achieve your business goals, or hurt them. If you are processing images for a client’s project, you want them to be enhanced to the best quality they can be for the same reason. From email and social media to traditional print media, proper image enhancement will help you to convey your message effectively. 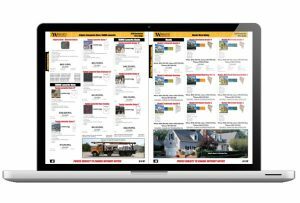 If you publish magazines, catalogs, newspapers or even digital content, you probably need to process a high volume of images. Maintaining your quality standards while working to process/enhance those images efficiently (and within the project budget) is definitely a challenge. In fact, per a study done by advertising legend David Ogilvy, it’s better to not show anything than to show something pixelated, over-compressed, badly resized, of a low resolution or incorrectly enhanced. Images sometimes lose their quality due to enlargement, scanning and other factors. The quality of these images can be improved by making certain changes. Adjusting the brightness, contrast, or color can improve the quality of these images. Improving the quality of an image by changing certain parameters is called Image Enhancement.